—When I die, I will see the lining of the world. −And if there is no lining to the world? 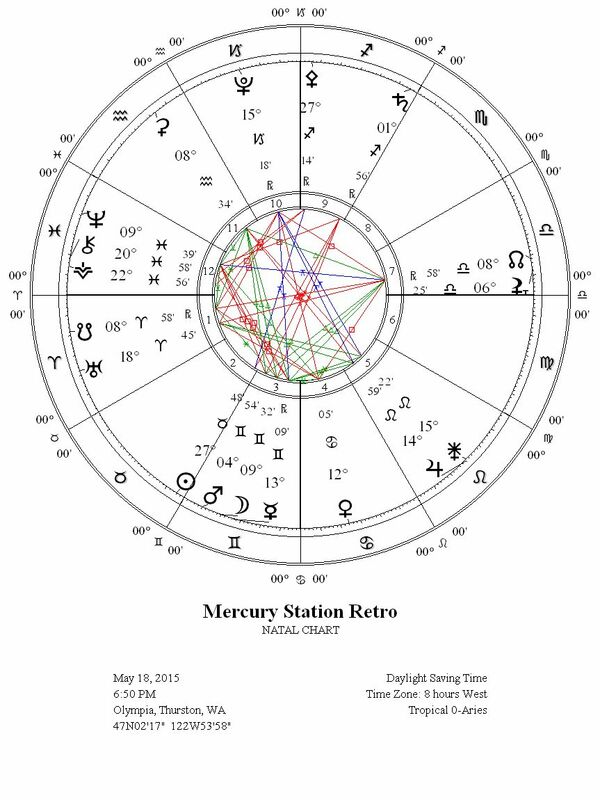 On May 18, a day after a New Moon in Taurus, we enter the second of our thrice yearly Mercury retrograde spells, this one occurring in Gemini. As the Mercury retrograde periods in 2015 all occur in Air signs, this chapter is significant for being in the mutable sign of Gemini where Mercury makes its home and lifts our minds with winds of inspired language. Mercury retrogrades are not a time to fear, though being aware that Mercury is setting a different tempo can help us orient to how to make productive use of its potential. When Mercury appears to move backward from our perspective during its retrograde, it is closer in orbit to us and creates the effect of moving slower. In correspondence, we gain access to a more magical perception that can decode messages from symbolic patterns in our daily experience. Following Mercury’s retrograde station, Mercury disappears from our view of it hovering over our horizon and moves into the underworld and the role of guiding us into pivotal inner insights of soul. In Gemini, Mercury plays up his mischievous trickster side that unveils the folly of those taking themselves too seriously, as well as amplifies our capacity to synthesize a multiplicity of perspectives, philosophies, and observations into shared meaning and unified vision. son of Zeus and Maia . . .
Mercury is the in-between archetype capable of seeing both sides of a duality, while mediating the tension of opposites in order to unify meaning. Mercury in Gemini has been stereotyped as scattered and distracted, yet this curious mental quality continually finds new connections between concepts superficially viewed as disparate. Mercury is a phallic god of fertility with a fully developed femininity that can take it beyond gender categories, a networker in the upper world of matter who can descend into the underworld and guide souls toward their next incarnation. There is a depth to Mercury retrograde that is simultaneously full of humorous and serious exploration. No one in society can escape the tricks Mercury plays, whether they be the chief executive of a large corporation hoarding societal rewards or an alienated, unemployed drifter struggling to survive from day to day. When Mercury strikes with his flash of light and clever grin, the joke he pulls on you holds a profound lesson to glean in meaning. This youthfully handsome, friendly, and thievish guide, who possesses magical golden shoes that transport him over earth and sea and a magical staff with which he puts people to sleep and awakens them again- has he not all the characteristics and attributes of a seductive and lethal guide of souls, the gentle Psychopompos of the later monuments? During this Mercury retrograde from 14° to 5° Gemini, one of the most significant themes is the unveiling of the archetype of Neptune in Pisces. A little over a week before stationing retrograde, Mercury in Gemini formed a square to Neptune in Pisces, and during it’s retrograde phase Mercury will square Neptune again, ultimately stationing direct in range of a square to Neptune. The day after Mercury stations direct at 5° Gemini, Neptune will station retrograde at 10° Pisces, leading to Mercury creating a third square with a retrograde Neptune in Pisces after moving direct again. Since Neptune in Pisces represents our collective tapestry of consciousness and the unconscious, the square from Mercury in Gemini can lead us to penetrate into the connective details found in the interwoven threads of meaning within the Neptunian fabric surrounding us. If we open ourselves to the possibility of shifting our future visions, we can experience a re-alignment that sheds what has been disillusioning and re-centers us on the dreams that are most deeply felt and authentic. 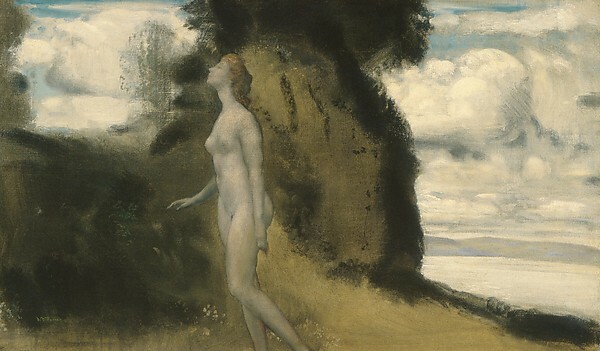 Archetypally, we can see in the image of Hermes a mythical statement of the psyche’s innate tendency to give definition to perceptual and mental horizons, to mark edges, to define spaces. Originally Hermes stood at the edge of known space . . . His sign marked the limit of consciousness. Beyond the boundary lies the unknown, the uncanny, the dangerous, the unconscious. When markers are created and limits set, however, curiosity and explorativeness are also excited and new spaces for exploration and discovery invite the bold and courageous traveler. If Hermes marks the boundary between conscious and unconscious, we have to realize that this boundary is always shifting and in flux; it is mercurial. Background and foreground may instantaneously reverse too, and generate new perceptions, novel insights. Within the area of the known, containers take shape which are reserved for specific types of human activity, while beyond them lies the “other,” the foreign (even if only temporarily), the taboo, the forbidden, the unclean. Hermes standing at the boundary marks a psychological and sometimes a moral limit and calls special attention to the space being entered or left. When he first appears, he may create a new space by dividing a vast horizon into the “here” and the “beyond,” and thus he creates both consciousness and a new unconscious. 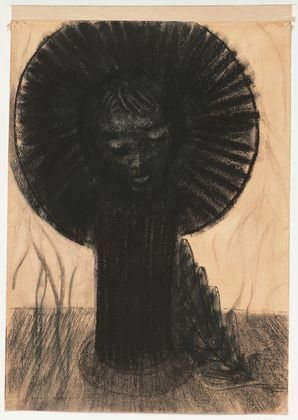 His intervention in the perceptual and psychological field creates new possibilities for consciousness, also new edges and boundaries beyond which lie the mysterious “others.” When he disappears, there is a loss of identity and definition. 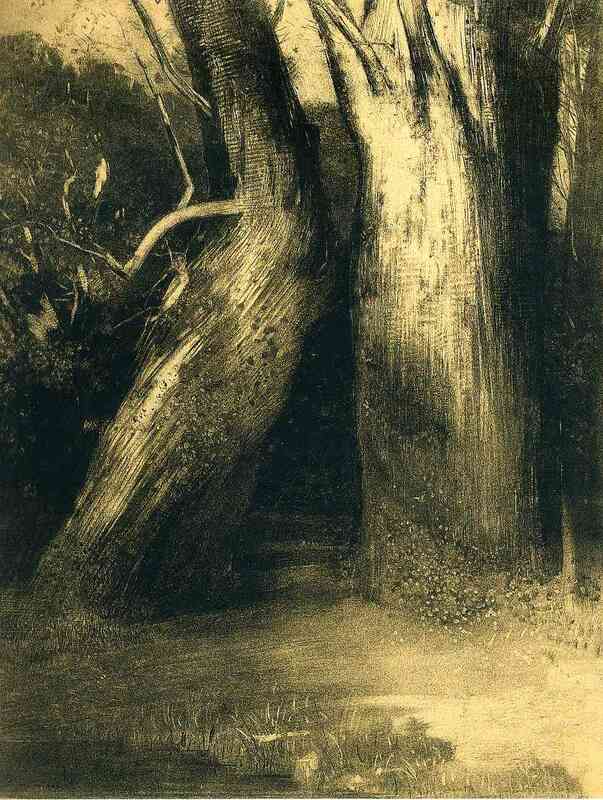 Everywhere, between the trunks of linden trees, on the sunny side of the lawn, on the path by the orchard. A Presence resided, I didn’t know whose. The air was full of it, it touched me, it held me close. It spoke to me through the scents of grass, the flute voice of the oriole, the twitter of swallows. Had I then been taught the names of gods, I would easily have known their faces. But I grew up in a Catholic family, and so my surroundings were soon teeming with devils, but also with the saints of the Lord. As if rising within one enormous unknowable Being. Once Mercury has stationed retrograde he ushers us into a darker, deeper, underworld phase of our path, a stage during which our Mercurial perceptions function most strongly with intuition and symbolic awareness of patterns perceived in our journeys by day as well as at night in our dreams. We enter a liminal space of shifting speed that slows things down enough to take in a deeper examination of the underlying patterns we have been living from. This is a time in which our minds can be more free than normal to take in new insight, and we can ultimately emerge from the period with a revitalized perception. In a Mercury retrograde it matters less that you have constructed a rationally balanced argument to support your position, and matters more that you have described your perspective with poetic imagery that can strike at the hearts of your audience. Mercury retrograde is also a time of synchronicity, and in this way we are fortunate that this Mercury retrograde in Gemini begins with the Moon applying to a conjunction with Mercury in the sign of the Twins. The Moon uniting with Mercury at the beginning of the retrograde increases our capacity to orient ourselves to the changes that will be coinciding with the Mercury retrograde and to begin to attune to the meaning that will be taking shape for us. There is also an expansive quality to the stationing of Mercury found in the sextile between Mercury and Jupiter in Leo, and since Jupiter in Leo is also in trine to Uranus in Aries it signifies that this coming Mercury retrograde could coincide with dramatic breakthroughs in thought that take us to a new level of thinking in whatever realm we have been exploring. The less we can be tied and bound to rigid, fixed belief systems, and the more we can liberate ourselves from past dogmatic thinking, the better we will be able to access the potential of this Mercury retrograde that appears to be very impressive in the field of creative thought and communication. The Sun and Mars joining Mercury in Gemini is another important theme, and at the beginning of the Mercury retrograde the Sun and Mars are in range of an opposition to Saturn retrograde in Sagittarius, with Mars separating from an opposition to Saturn and the Sun applying to an opposition with Saturn. Mars in Gemini is full of mental activity, and it’s inquisitive nature could spark us to intellectually challenge authorities in our field of interest. Since Saturn in Sagittarius is retrograde, we could experience a de-conditioning from belief systems that have not been authentically resonant for us through exploring exciting new sources of knowledge. As Mars separates from it’s opposition to Saturn it will begin to form an exact square with Neptune in Pisces, and so this tension can compel us to go deeper into metaphysical study of our subject. In particular, the combination of Mercury retrograde in Gemini uniting with Mars direct in Gemini will feed our ability to create new categories and definitions of meaning that will both expand and intensify any subject we sustain focus on. If we are full of hubris or living in an illusion, the square between Mars in Gemini and Neptune in Pisces could result in a great Mercury retrograde joke being played on us that reveals the foolishness of our ways. and what prerogatives each one had. was a follower of hers. the underwater gambols of sperm whales. unceasing fabric of the mind. Music of the spheres, music of violins and flutes. while they are born and die. their jaws and devour their catch. with a vast number of nicknames and tails. 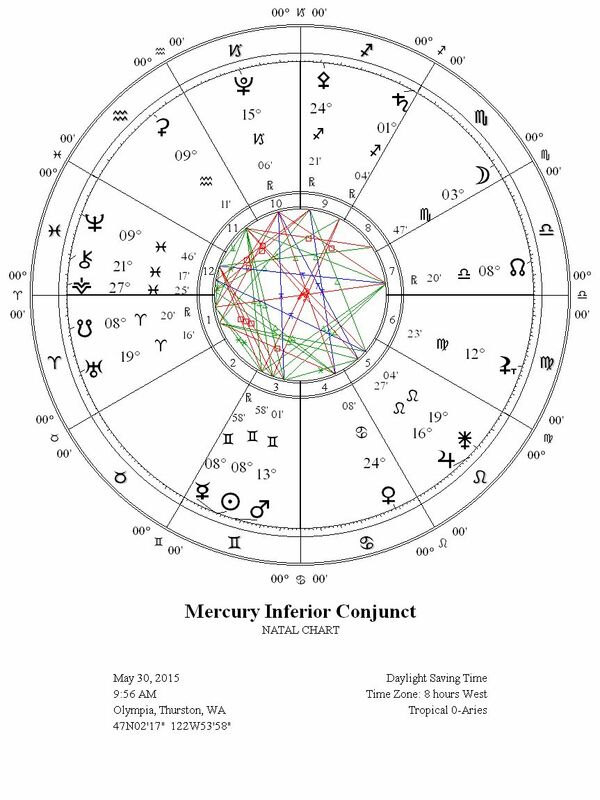 The Inferior Conjunction of Mercury and the Sun in Gemini, the point of conception for a freshly synthesized vision, occurs at 9:56 am Pacific Standard Time on May 30, 2015 at nine degrees of Gemini. Gemini is one of the mutable, double-bodied signs, perhaps through the image of the twins being the most exemplary sign of the human tendency toward dualistic thinking. Just like the heaven of connecting with another human we consider to be a kindred spirit, soul mate, twin flame, . . . etc . . . it can be the deeply felt experience of our own personal patterns being mirrored back to us through another that sparks an epiphany of self-realization, and demonstrates how the interplay between twins can coalesce transcendent thought. At the inferior conjunction we have a magical moment to achieve a one-pointed focus of the unity that holds duality within it, that bridges a multiplicity of meaning to a unified perspective, and that guides us into an insightful realization about our soul and associated patterns. This is a time to meditate or surrender to Hermes the Psychopomp, as we allow the message of the moment to soak into our core and revivify our perception. The Sabian Symbol for 9° Gemini where Mercury’s inner union with the Sun occurs is “A QUIVER FILLED WITH ARROWS,” and fittingly had a double meaning to Dane Rudhyar. On the lower level, this symbol represents the human capacity “to extend the scope of his conquest of nature and kill enemies in order to build a larger base for the collective development of a culture and an organized society” (p. 95). Since a quiver of arrows suggests the existence of a target to aim at, this symbol also represents the penetrating potential of the human mind to go through the target toward which it aims, destroying the obstacles on its path. At a higher level, Rudhyar likened this symbol to the “Zen practice of archery” in which “the obstacle is the ego” (p. 95). The unifying concept of this symbol to Rudhyar is “CONQUEST,” whether it is applied to conquering the external world or the restrictive influence of the ego on our inner world. During this Mercury retrograde, it is best to remember Rudhyar’s conjecture of conquest, as the moment our ego grabs hold of us in order to win a debate at all costs, is the moment that the staff of Hermes could suddenly strike and enfold us in a joke of which we are the punchline. The more we can sustain a collaborative, creative air between us and those holding sharply contrasting opinions, we will be better able to avoid the pitfalls of dispute that stresses more so than enlivens. The inspiring potential we find here is that by listening to opinions coming from drastically different perceptions to our own, we can fertilize tremendous growth of knowledge from within. With the Sun and Mercury exactly conjunct in Gemini and in square to Neptune in Pisces, with Mars in Gemini in sextile to Jupiter in Leo and Uranus in Aries, we have a regenerating, liberating well to drink from within us even though the current events dominating the global stage are filled with instability, violence, discord, and oppression. An image that comes to my mind in association with the strong Gemini energy of the Sun, Mercury retrograde, and Mars is that of a WITNESS to life in all of its complex depth, a witness who is then willing to serve as a messenger to inform the surrounding society about what is going on in secrecy behind the proverbial locked doors Mercury can open for us. When we express the full story we are witnessing within and around us, we beam our light into the collective matrix and move others with the emotive, wakening wind of Mercury. “World” can be a comprehensive idea if as an autonomous entirety it accommodates the observer as if he were moving about in the world he normally is surrounded by. The world of the Iliad or that of the Odyssey accommodates us in this way. Every such world, however, is at the same time a worked-out idea of the world that existed already prior to this expression of it and that lent itself to the finished expression of the idea. There can be no “world”- even if it is the purely spiritual epiphany of an intellectually luminous god- which is not “worldly,” that is, which does not function as a space to contain the content of the revelation in a fitting way. If a god is “idea” and “world,” he remains nonetheless in connection with the world that contains all such “worlds”; he can be only an “aspect of the world” while the world of which he is an aspect possesses such idea-aspects. Indeed, it has the ability to shine forth in its totality as idea, it possesses the light of the idea, and is itself in its own way lighted and clear . . . “Light” and “clear” in the sense of “world-like” – and therefore convincing – could also be the idea of Hermes. To find my home in one sentence, concise, as if hammered in metal. Not to enchant anybody. Not to earn a lasting name in prosperity. An unnamed need for order, for rhythm, for form, which three words are opposed to chaos and nothingness. 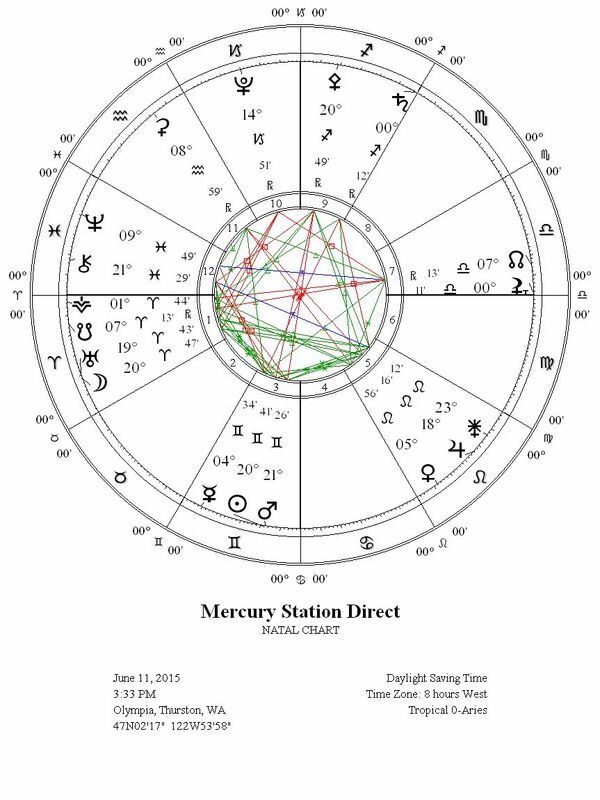 After Mercury separates from its inner merging with the Sun, the Sun moves on to initiate a conjunction with Mars in Gemini, as Mercury begins its shifting ways again and starts to station direct. The Sun conjoining Mars in Gemini constellates images of a warrior of words, a passionate poet, an intellectual activist who refuses to collude with oppressive powers and instead expresses her voice in defiance to surrounding injustice. The Sun-Mars conjunction in Gemini as Mercury stations direct germinates our desires with inquisitive thoughts that can reveal new meaning for us through the juxtapositions of language and philosophies we encounter. At the same time the Sun and Mars are coming together in Gemini, Mercury is stationing direct in range of a square to Neptune that is also stationing retrograde simultaneously. We have had four years so far to experience the meaning of Neptune in Pisces by transit, and in the first couple of weeks in June 2015 we can receive illumination of any Neptunian illusions that have been sourcing our conditioned beliefs. As an illusion of Neptune is unveiled, in the winged steps of Mercury we will be able to experience a sharper sense of clarity and direction to follow forward. In this final phase of the Mercury retrograde cycle in Gemini, one of the most significant transits is the ingress of Venus into the fiery, solar sign of Leo during the first week of June. Venus in Leo ignites a creative actualization of the mental contents the Mercury retrograde has been brewing, and by the time Mercury stations direct Venus in Leo will have passed through a beautiful sextile to Mercury in Gemini. There is a potent re-integration available at this upcoming stationing direct of Mercury at five degrees of Gemini, that can unbind and untether us from restrictive thought patterns. This potential release can be seen in the transits of the Moon conjoining Uranus in Aries at the time of Mercury stationing direct, with the Moon-Uranus conjunction in Aries being in sextile to the Sun-Mars conjunction in Gemini and in trine to the Jupiter-Juno conjunction in Leo. Within this magical mix of astrological aspects, Mercury will arise from the underworld at dawn and with a flash of light illuminate our waking horizon as our Morning Star again. With heart almighty, and a prudent mind. Whose pow’rful arts could watchful Argus kill. In arts gymnastic, and in fraud divine. Of care the loos’ner, and the source of gain. Emblems of Mercury And in necessities to mortals kind. Give graceful speech, and memory’s increase. Milosz, Czeslaw. (2011). Selected and Last Poems, 1931-2004. HarperCollins. Stein, Murray. (1999). Hermes and the Creation of Space. Love the Milosz piece, Gray! Thanks for the article as well. Thank you Bela, I agree that the poems included here by Czeslaw Milosz are beautiful. For some reason I was drawn to his poetry as we approached this Mercury retrograde. I spent a lot of time selecting which poems to include here so it means a lot to me that you appreciated them. Well, I’m a poet, so there’s that. They are really fabulous – I’ve not heard of him before, so you gave me a nice intro! Thank you! Gray, thank you for the excellent explanation of the mercury retrograde. You have made tangible the mysterious ways that mercury operates and the posibilities to go beyond what we can measure. The unfathomable is given voice and value. 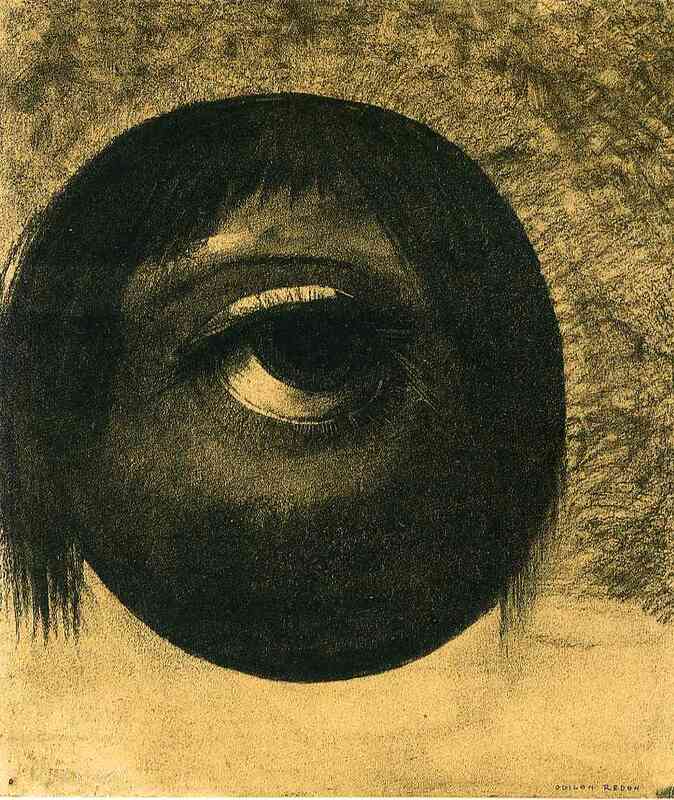 The artwork of Redon and the fabulous poetry of Milosz are a strong testament to the extreme lengths the mercurial mind will go to get beyond the barriers to understanding. I feel a real kinship to their method and vision having a strong.mercurial signiture myself. My mercury is conjunct the MC and have four other planets under mercury rulership. Thanks to you , I have a deeper understanding.of mercury retrograde that we currently are experiencing and a better idea now how all the mercury in my chart has impacted me. It is not easy to distill abstract concepts but through your perfect expression and understanding you do this so well. Thanks for sharing your knowledge, in a way that fills in the blanks that others left gaping open. You are truly amazing. Wishing you the best! Thank you, this is very kind of you to share with me. By the way, I also have my Mercury conjunct my Midheaven and a number of important parts of my chart in the sign of Mercury. i feel as though I have just had a reading…hmm! how rare and comforting. Thank you, I am happy to hear this created a comforting atmosphere for you.